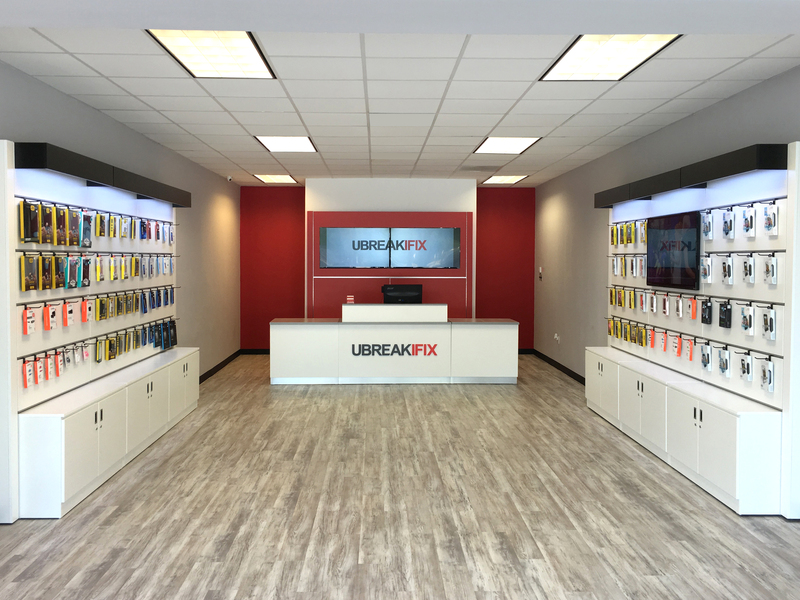 KENNESAW, GA--(Marketwired - February 27, 2017) - uBreakiFix opens in Kennesaw on March 1 at 1550 Crater Lake Drive N.W. The growing technology repair brand provides same-day repair service of all electronics, specializing in cell phone repair and computer repair. uBreakiFix Kennesaw is the third location for local owners Matthew Wadsworth and Jeff Lennox, who also own stores in West Cobb on Dallas Highway and East Cobb at Sandy Plains and Shallowford Road. "We're excited to bring uBreakiFix to new Cobb County communities in the Kennesaw and Town Center Mall areas," Wadsworth said. "There is such a clear need for quality, reliable tech repair in this area. We're here to fill that need while also providing the best possible experience to the guests who trust us with their devices." The store invites the community to join in celebration at its official ribbon cutting ceremony, hosted by the Cobb Chamber of Commerce and Kennesaw Mayor Derek Easterling. The ribbon cutting will take place March 1 at 11:30 a.m.
uBreakiFix was founded in 2009 by millennial duo David Reiff and Justin Wetherill, a 2017 Forbes 30 Under 30 honoree. The pair later partnered with Eddie Trujillo to take their Internet-based brand brick and mortar. With keen attention to quality and experience, uBreakiFix has become an industry leader in value, efficiency and customer service. Since its inception, the company has grown organically without debt, investors or consultants. uBreakiFix services all brands of electronics, offering phone screen repair, computer repair and more to consumers and businesses alike. The company repairs cracked screens, water damage, software issues, camera issues and most other technical problems at its more than 280 stores across North America. uBreakiFix opened 114 stores in 2016 and plans to open 175 new stores in 2017 for a year end goal of 450 stores in operation. uBreakiFix is known for its timely service, focus on providing an exceptional customer experience and its ability to fix anything and everything with a power button. Each repair comes with a 90-day warranty and a price match guarantee. "As we grow, we're continually challenging ourselves to innovate and improve our systems to better serve the communities we call home," said Wetherill, uBreakiFix CEO and founder. "We look forward to answering the Kennesaw community's tech needs with the reliable repair service and exceptional customer experience that our consumers expect." uBreakiFix Kennesaw is located at 1550 Crater Lake Drive N.W #100, Kennesaw, GA 30152 and can be reached at: 678-214-3642. For more information and to view a service menu, visit ubreakifix.com. ​uBreakiFix specializes in same-day repair service of small electronics, repairing cracked screens, water damage, software issues, camera issues and other technical problems at its more than 280 stores across North America.